In January 2010 we first reported discussions that were afoot which could have changed the world of motorcycling as we know it. 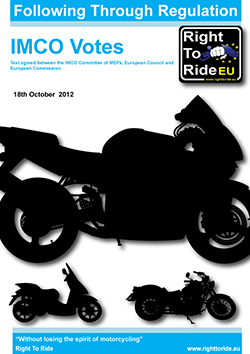 These were proposals for a new framework regulation for motorcycles to regulate emissions and the safety of motorcycles. Over the last couple of years, the issue has moved through procedures including public consultation. European Parliament 20th November 2012 – The proposal – Approval and market surveillance of two – or three-wheel vehicles and quadricycles – was debated and then approved by the European Parliament by huge majority (643 in favour, 16 against). We published and continue to do so information as we become aware of the latest agreements made by Council, Parliament and the Commission regarding the EU regulation proposal. We have been very fortunate to have access to these documents (most of which are in the public domain – if you know where to look) and rather than leave riders to speculate, we prefer to provide the information as it arrives on our desks, so that people can make up their own minds. In other words, we prefer to offer information about the events as they unfold in order to provide the opportunity for discussion. In October 2010 the European Commission published its proposal – Approval and market surveillance of two – or three-wheel vehicles and quadricycles and the commissions proposal now been discussed within the Committee on the Internal Market and Consumer Protection (IMCO). At Right To Ride we have shared our views with all concerned during the process. The EU Commission proposals originally aimed to simplify approximately 20 different regulations into one framework directive (which will define the essential requirements, basic condition for production, basic rules for the internal EU market and limit values for environmental standards). This simplification of regulations has instead become a mire of technical blah blah and wishful thinking. MEPs submitted 304 (30th August 2011) amendments to the proposal which have been considered by the Internal Market and Consumer Protection (IMCO) committee. The vote on these amendments took place on the 5th December 2011. The process moved through Parliamentary Procedures which have included “high level” meetings in Brussels on the 15th May between the European Parliament’s negotiating team led by Chairman of the IMCO Committee Malcolm Harbour (MEP), the Danish Presidency of the EU Council of Member State Governments, and the European Commission, to thrash out the various positions and amendments to the proposed regulation “Approval and Market Surveillance of 2 or 3 wheeled Vehicles and Quadricycles but also world standards in terms of emissions, durability, safety and vehicle specifications. 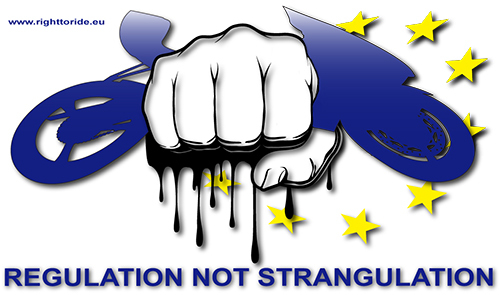 The outcome of informal trialogue negotiations between the European Parliament and the Council. The agreed text of the proposal was published on 10th September 2012, a full month before it was presented and voted on by the IMCO committee on the 11th October 2012. While this is more than two months before the vote in the Plenary of the European Parliament, currently scheduled for 20th November 2012, further procedures have to be taken into account (verification by lawyers, translations, official transmissions, etc), Council’s final confirmation of the new Regulation, will be published the following month. Simply for those who may be concerned that their future as a motorcyclist is under threat, it was confirmed at this meeting, what we already knew and have repeatedly told riders, is that the higher powered motorcycles i.e. L3e equal to a full A licence and L4e (motorcycles and sidecars) also equal to a full A licence will be excluded from anti-tampering measures. Furthermore, it has been made clear that the measures that would be introduced for restricted motorcycles – e.g. mopeds, 125cc and L3e – A2 (medium powered motorcycles), were not directed at users and had absolutely nothing to do with bikes in use, with the aftermarket and any modifications that motorcyclists may wish to apply to their motorcycles. On Thursday the 11th October 2012 without much fuss, the IMCO (Internal Market and Consumer Protection) voted on the Approval and market surveillance of two – or three-wheel vehicles and quadricycles, the vote was 31 votes in favour with one abstention. So by definition, not included in the powertrain are modifications to upgrade suspension, brakes, change the handlebars, fit a different screen or fit luggage. Improved safety for motorcycles: European Commission welcomes Council approval The European Commission welcomes the final approval by the EU’s Council of Ministers of new rules for motorcycles and other light vehicles. The devil is in the details and those are going through the democratic process through the Delegated Acts. These have been published in their draft format and discussed and published in the public domain for all to see. 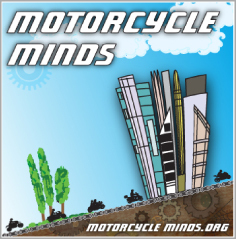 They are available through the stakeholders Motor Cycle Working Group (MCWG) which riders organisations are part of. Our position was to aim to protect the spirit and historic tradition of modifying motorcycles – which we consider has been successfully completed. The regulation is for new motorcycles manufactured after a certain date – there regulations are not to be imposed retrospectively – to motorcycles already manufactured! From this page you can view all the reports and items that we have produced and reported on regarding the Framework regulations. For specific updates and changes of views of rider groups and the commission leading to the proposal going through the European Parliament go to main page. The Commission’s Motorcycle Working Group (MCWG) continues to meet, to continue the discussions that have already taken place in this working group regarding the status of the proposed regulation on type-approval and market surveillance of L-category vehicles. These meetings are attended by a range of the stakeholders, including FEMA, FIM and Member States Government representatives. Below are the documents – information – links that we posted up regarding the regulation. These range from parliamentarty procedure files to draft reports and amendments. 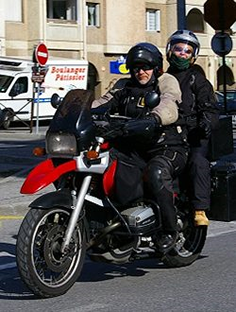 These go as far back to public consultations in 2008 and the major rider orhganisations who responded to the European Commissions public consultation – FEMA (Federation of European Motorcyclists’ Associations) – BMF (British Motorcyclists Federation) – FFMC (Fédération Française des Motards en Colère) – SMC (Swedish Motorcyclist’s Association). Presented to European Parliament – Debated 19th November 2012 – Plenary vote – for 20th November 2012. The original proposal from the European Commission. For a EUROPEAN PARLIAMENT AND COUNCIL REGULATION Regulation (EU) No …/2010 of the European Parliament and of the Council on the approval and market surveillance of two- or three-wheel vehicles and quadricycles – 4th October 2010. Details with comments to the proposal and draft report regarding the proposal amendments discussed within the ICMO committee to be eventually presented to the European Parliment. June 2011 – Briefing Note – Directorate General For Internal Policies – Policy Department A: Economic And Scientific Policy – Internal Market And Consumer Protection – Market surveillance in relation to type approval requirements. August 2011 – Briefing Paper -Directorate General For Internal Policies – Policy Department A: Economic And Scientific Policy – Internal Market And Consumer Protection – Access to repair and maintenance information. Draft report – 30th August 2011 – Approval and market surveillance of two-or three-wheel vehicles and quadricycles. On the Proposal for a European Parliament and Council Regulation – Regulation (EU) No …/2010 of the European Parliament and of the Council on the approval and market surveillance of two- or three-wheel vehicles and quadricycles – 19 January 2011. Ffor the Committee on the Internal Market and Consumer Protection on the proposal for a regulation of the European Parliament and of the Council on the approval and market surveillance of two- or three-wheel vehicles and quadricycles – 27th May 2011. The European Commission has proposed the mandatory fitting of advanced braking systems on new motorcycles, medium and high performance motorcycles and automatic headlamp-on switching for all L-category vehicles. “Other, more effective safety measures will be introduced to help reduce the high numbers of fatalities and injuries among riders of powered two-wheel vehicles in road accidents in the Union”. A public consultation was held from 22 December 2008 to 27 February 2009 to seek the opinions of associations, companies and public authorities on key aspects of potential measures for the type-approval of L-category vehicles. In particular, stakeholder views were sought on the simplification of the current legislation, on the environmental and safety aspects of L-category vehicles and on the possible need to align legal measures with technical developments. Opinions were sought especially on items perceived to be controversial. Report Results of the public consultation on a proposal for a new Framework Regulation of the European Parliament and of the Council on type-approval of two- three- and four-wheel motor vehicles, referred to as L-category vehicles.Brussels – 25th November 2009.